In May 2009, DISA and the Wheelabrator Group merged and thus created the world’s leading metallic parts improvement company DISA and Wheelabrator operate under the umbrella of the parent company Norican Group. Norican Group is the world’s leading provider of technology and services to improve its customers’ metallic parts. From the “parts formation” phase of a customers’ operation (represented by DISA) through to the “parts preparation” phase for cleaning, strengthening and polishing of the part (delivered by Wheelabrator) the Norican Group stands ready to lower its customers’ overall life cycle costs. 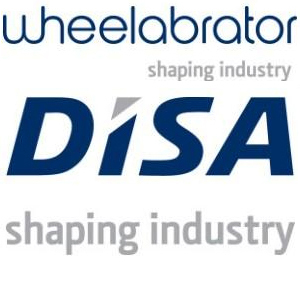 Both DISA and Wheelabrator represent over 100 years of expertise and experience, and collectively employ 2,300 people in 5 continents, with major operations in Canada, China, Czech Republic, Denmark, France, Germany, India, Poland, Switzerland, UK and USA. Wheelabrator Plus offers a global aftermarket service to support existing surface preparation equipment by providing technical support, experienced service labour and spare parts and supply, delivered locally. Operating from strategically located service centres and providing a global network of technicians and service engineers in almost 100 countries, we provide around the clock support.